First, let me just say that Col d’Evosges was a revelation. It’s an amazing climb. On a nice early spring day, it seemed the perfect time for a little Col hunting in the Haute Juras. 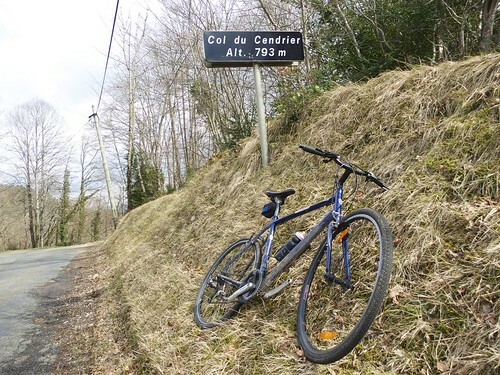 Five small Cols that I had never visited before. Starting from Ceignes, I descended the D1084 (the missing part from the map below). 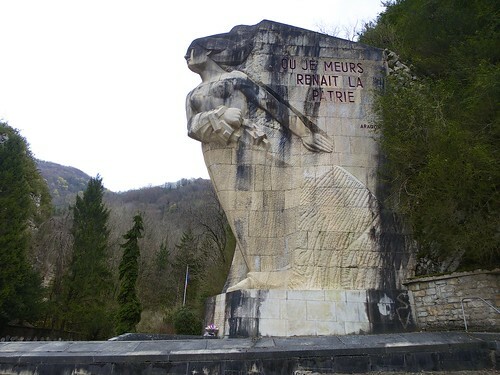 A fun, cliff road that leads to the gigantic French Resistance memorial: “Monument aux Morts du Maquisde l’Ain et du Haut-Jura” . The rest of the route is on quiet roads. First turning right and up at Pont de Préau through a gorge for a long climb to Col de Montratier (alt. 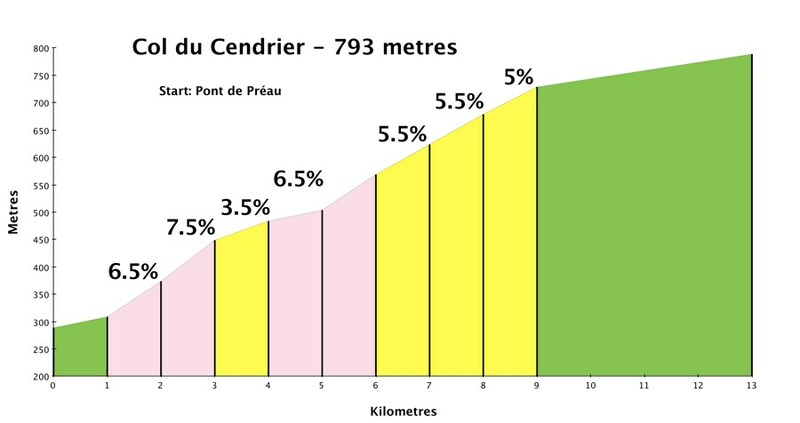 500m, no sign) and then continuing higher to Col du Cendrier (793m). This is the middle of no-where. Fantastic. 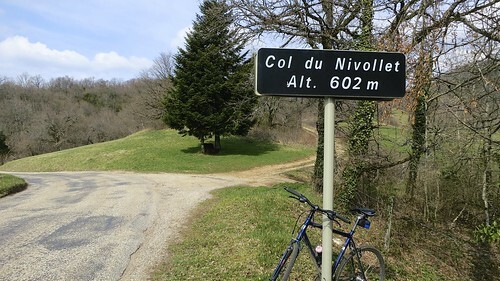 Next is a long, winding descent — passing Col du Nivolet, all the way to St-Rambert-en-Bugey (poor old St. Rambert was killed here in the 7th century). St-Rambert is below 300 metres. And after a couple of kilometres down low surrounded by cliffs, the route turns back up towards Col d’Evosges. 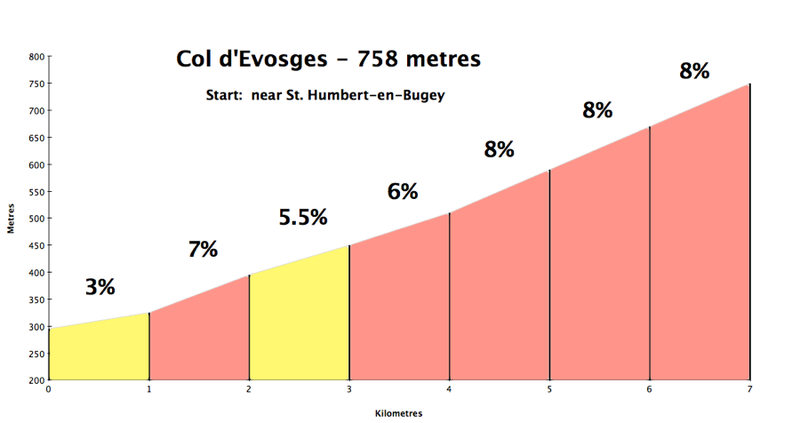 Col d’Evosges must be the nicest climb I have ever done at such a low altitude. Still, at 758 metres, it is still 500 metres of ascent. After a couple kilometres up through a forest, a huge ampitheatre of cliffs open up above. And the Col is directly over the top! 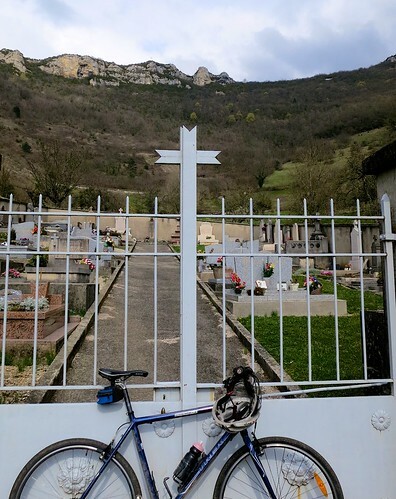 A nice cemetry in Oncieu, and a view of the Col high above. Second last hairpin (the top hairpin is the photo at the beginning). After the Col the route gets easier for a while along the Plateau, finally turning onto another quiet forest route for a very nice short climb over Col du Sappel — and then a quick descent to the finish. I was on a mountain bike. A couple of time my GPS took me on unnecessary short cuts on unnecessary unpaved trails. If you plan on riding the loop, map carefully or drop me a line. I always enjoy a good col hunting ride! Click the Col hunting tag below for more similar rides. 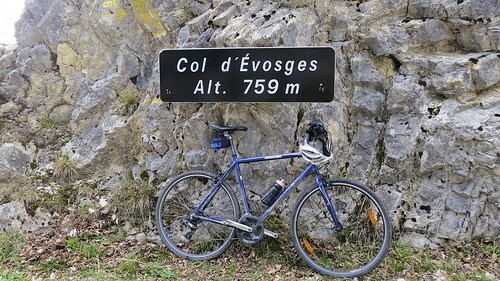 Col d'Evosges was a revelation. It's an amazing climb. 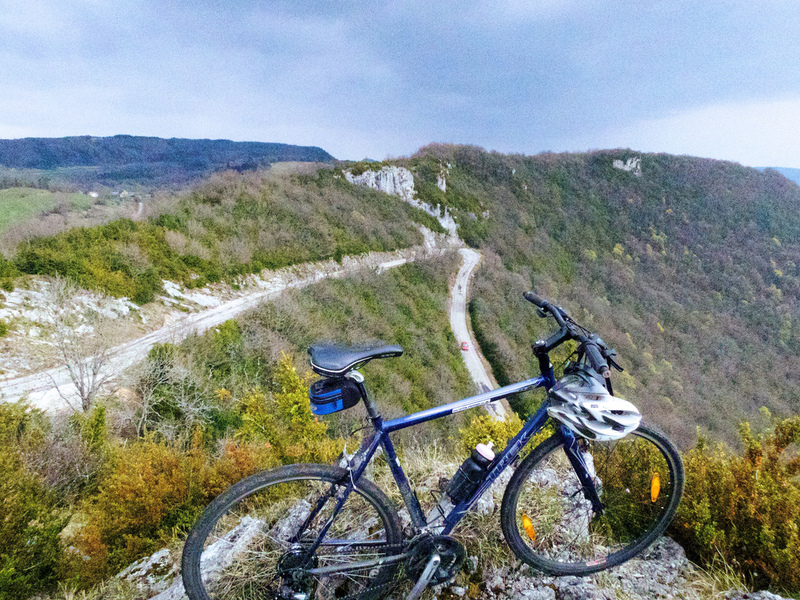 Overall, a fun little Col Hunting loop through the Hautes-Jura. thanks a lot for this nice post! The collection of 5 small cols looks like a good start into the season to warm up for the high giants which are still snow covered. 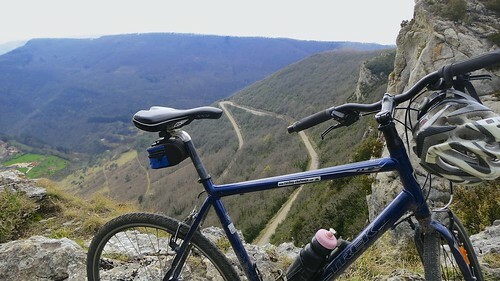 Even Grand Colombier is not yet open 🙁 (http://www.felesducolombier.fr/accueil). 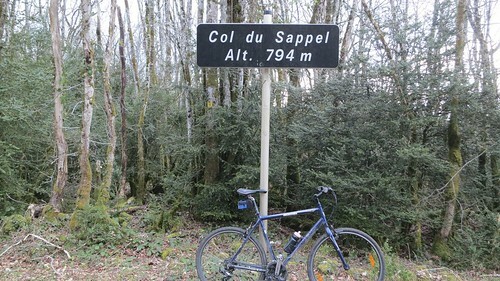 I have only climbed Col de la Faucille last Friday but want to add more rides as time permits. Any idea if “La Barillette” or “La Baudichonne” are already free of snow? The new design of your site is soooo cool !